Note: Only six companies of the 15th Maine, (Cos. A, C, D, F, G, K), under Colonel Isaac Dyer, were ever located at the Siege of Petersburg. 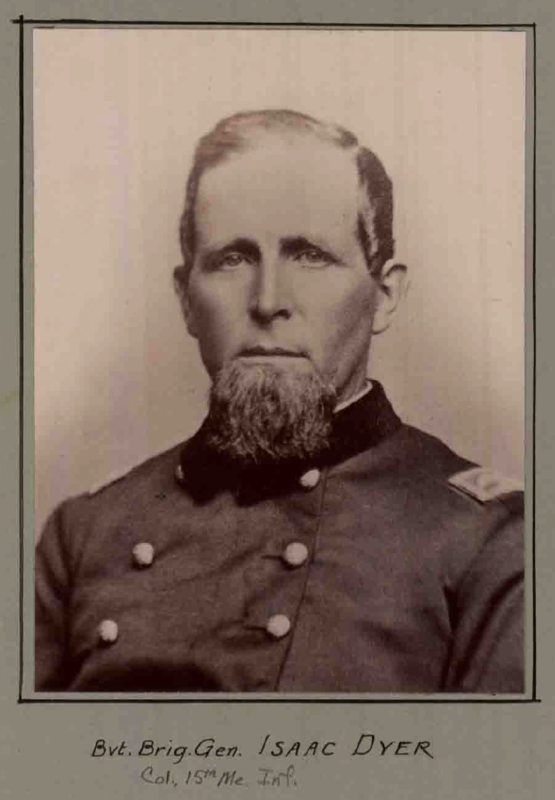 The other 4 companies (Cos. B, E, H, I) under Lieutenant Colonel Murray were with the portion of the XIX Corps which defended Washington, D.C. and pursued Early’s forces. Moved to Fort Monroe, thence to Bermuda Hundred, Va., July 1-17 (6 Cos.). Moved to Washington, D.C., thence to Monocacy, Md.